Receive the Trend Report - FREE! To ensure a variety of perspectives, AFS canvassed its Advisory Council, vendor partners, and leading studio operators on trends they see growing or continuing in 2018. Their responses were compiled and are presented in a 3-page document, attached. There was no limitation to the trend input by AFS experts, meaning the trends covered a wide range of industry perspectives. We won’t spoil the suspense by announcing the #1 trend, but suffice it to say that the top five or six all garnered a great deal of attention from our expert panel. Enjoy! 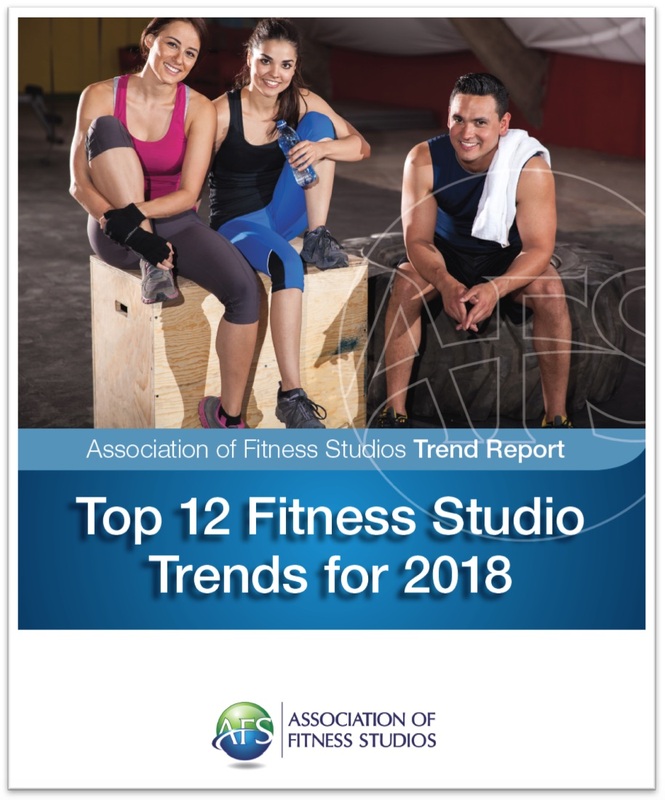 The Association of Fitness Studios (AFS) is the only membership community dedicated solely to the business of fitness studios. AFS provides studio owners and developers a wide array of business-specific products, services, and benefits that enable them to more effectively manage and grow their businesses, building on the passion, compassion and courage they’ve already shown. www.afsfitness.com.